That's how I have my PC, though it's too low spec to run any PC games particularly "well". Sadly. Credit goes to IrishEvo8 for linking it to me. Austin, Texas – July 31, 2012 – BioWare™, a Label of Electronic Arts (NASDAQ: EA), announced today that it will be expanding the story-driven, massively multiplayer online game Star Wars™: The Old Republic™ by adding a new Free-to-Play option this fall. This option will give players access to each of the eight iconic Star Wars character class storylines, all the way up to level 50, with certain restrictions*. Unlimited game access, including new higher-level game content and new features will be made available through individual purchases or through a subscription option. - Subscription – A service designed for players who want unrestricted access to all the game features via ongoing subscription or by redeeming a Game Time Card. In addition to gaining access to all game content as our current subscribers do now, Subscribers will receive ongoing monthly grants of Cartel Coins*, the new virtual currency that will be introduced later this fall. 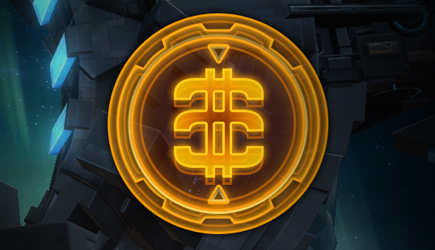 Cartel Coins can be used to purchase valuable items including customizable gear and convenience features that will enhance the game play experience. - Free-to-Play –The first 50 levels will be free-to-play, with some restrictions on access to new content and advanced player features. Some restrictions can be “unlocked” with Cartel Coins. 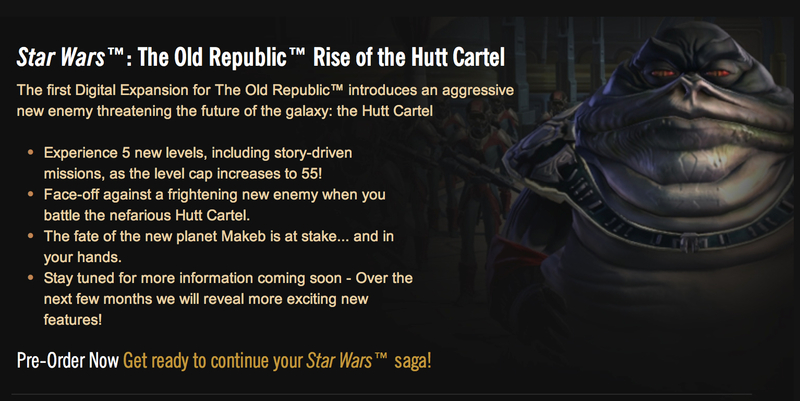 For more information on Star Wars: The Old Republic, please visit www.StarWarsTheOldRepublic.com, follow the game on Twitter at http://twitter.com/swtor or “Like” Star Wars: The Old Republic on Facebook at http://facebook.com/starwarstheoldrepublic.